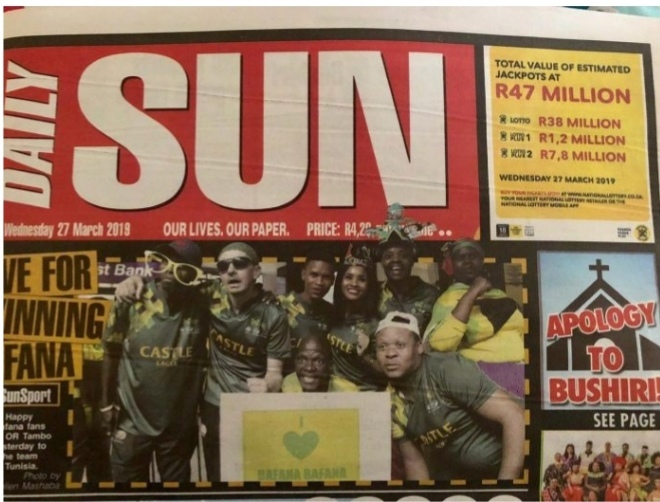 A South African tabloid daily newspaper, DAILY Sun has apologized to Prophet Bushiri, leader of The Enlightened Christian Gathering Church on Wednesday over an article the newspaper published on the 18th of February, 2019. This publication is in possession of the Press Ombud ruling of 18 March that ruled that Daily Sun should apologize to Bushiri and the church. This came after a formal complaint was lodged by Makhudu Sefara of Unscripted Communication (Pty Ltd). Sefara argued that the allegations were false and the article was not supported by facts. “We believe such facts are not included in the story because they do not exist”. He adds that “There is no effort in the news story to support the allegations with facts or evidence. Our submission is that the orgies are a figment of someone’s creative imagination”. 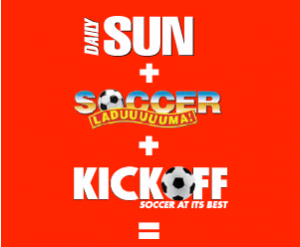 In his analysis, the ombudsman indicated that the Daily Sun was in breach of the Press Code 1.1, 1.7 and 3.3 that state that “the media shall take care to report news fairly”, “The media shall verify the accuracy of doubtful information, if practicable ; if not this shall be stated; and” the media shall exercise care and consideration in matters involving dignity and reputation… ” respectively. 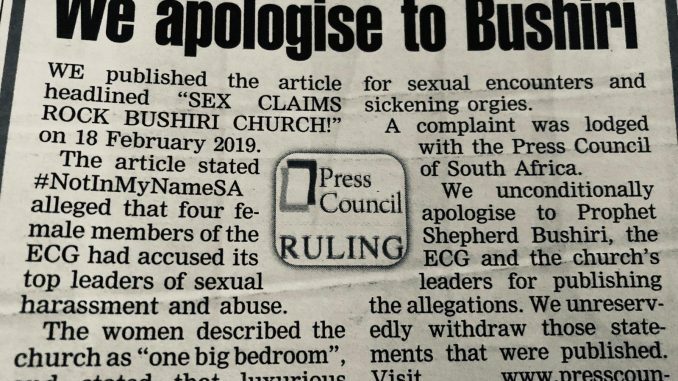 Daily Sun then, on Wednesday apologized to Shepherd Bushiri, affectionately known as Major 1 and the ECG church, a move that, paradoxically however, many journalists applauded the newspaper and the ombudsman for taking.